Are you teaching your child LIFEPAC Health Quest? Want a fun, supplemental item to keep him motivated? 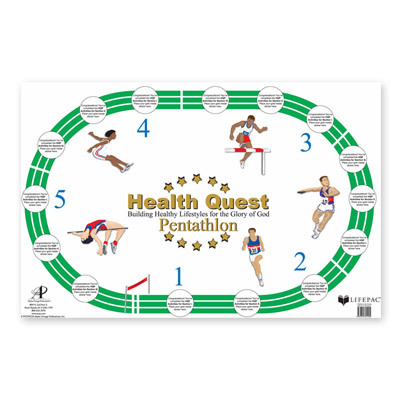 Then get the LIFEPAC Health Quest Poster! This appealing, colorful poster shows a running track complete with marker points. Gold stickers are placed on the poster as each health activity in the Alpha Omega curriculum is accomplished. Measures 22 x 33 inches. Hunting for an elementary-level health course? 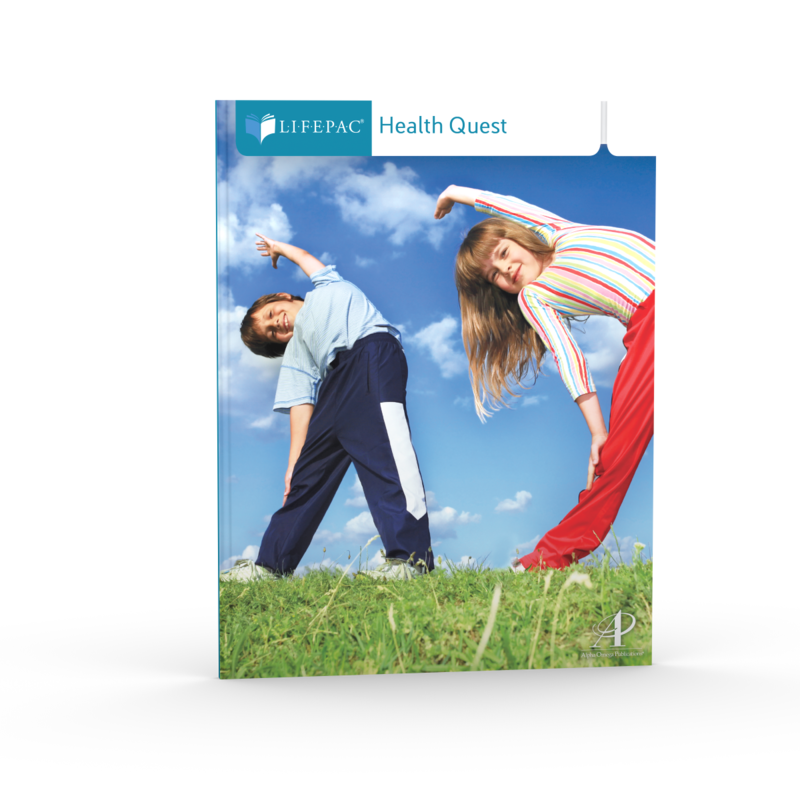 You've found one—LIFEPAC Health Quest is specially created for grades 4-7. This colorful, one-semester course covers topics such as personal hygiene, fitness, exercise techniques, and personal and ecological stewardship. 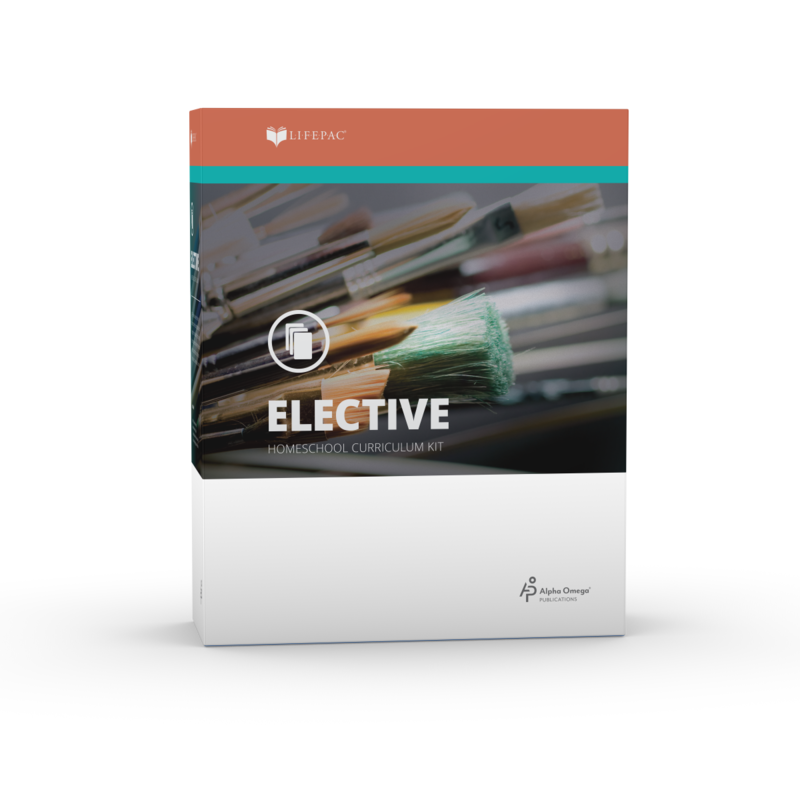 This fun, consumable Alpha Omega curriculum is flexible and biblically based. Are you teaching your homeschooler health? Looking for help to explain concepts? Try the LIFEPAC Health Quest Teacher's Guide! This complete guide includes an Alpha Omega curriculum overview, lesson planning, teacher's tips, alternate tests and worksheets, and more. Included are answer keys for lessons and tests in Units 1-5. Does your young homeschooler know all of his body systems? If not, get the LIFEPAC Health Quest Unit 1 Worktext! This fully-illustrated, consumable text offers a step-by-step look at God's complex design of human body. Additional topics in this Alpha Omega curriculum include physical development stages, from conception to adulthood. Tests are included. If you want to teach your young learner the importance of mental health, try the LIFEPAC Health Quest Unit 2 Worktext! This full-color, print-based Alpha Omega curriculum covers mental, spiritual, and emotional wellbeing with fun, interesting lessons! Additional health topics include social interaction and personal hygiene. Tests are included. Does your young homeschooler know how to practice healthy eating? If not, get the LIFEPAC Health Quest Unit 3 Worktext! This colorful, print-based Alpha Omega curriculum provides an in-depth look at the main food groups, proper eating habits, and exercise! Topics cover the food pyramid, physical fitness, and nutrition. Tests are included. Does your young homeschooler know how to react in an emergency? If not, get the LIFEPAC Health Quest Unit 4 Worktext! This bright, print-based Alpha Omega curriculum covers vital, important topics like disease prevention, first aid, and safety procedures! Topics include choking, accidents, natural disasters, bleeding, and more. Tests are included. Want to teach your homeschooler how to be a good steward of God's Creation? Then get the LIFEPAC Health Quest Unit 5 Worktext! This appealing, consumable Alpha Omega curriculum will help explain how to care for the environment and the human body. Valuable topics include drugs, alcohol and tobacco use, and the environment. Tests are included. Want to teach your homeschooler accounting with LIFEPAC worktexts—but already have the teacher's guide? Then the LIFEPAC Accounting 10-Unit Set is just what you need! These ten, print-based worktexts contain one year of accounting lessons! Each worktext in this Alpha Omega curriculum includes clear lessons, self tests, and a removable teacher-administered test. Supplement your child's math studies with LIFEPAC Accounting! This full-color, consumable Alpha Omega curriculum offers ten self-paced worktexts and an easy-to-follow teacher's guide. Your student will enjoy learning practical, diverse topics such as journalizing transactions, worksheets, payroll records, financial statements, and more. Teaching accounting to your student? Want to save time and get a little help? 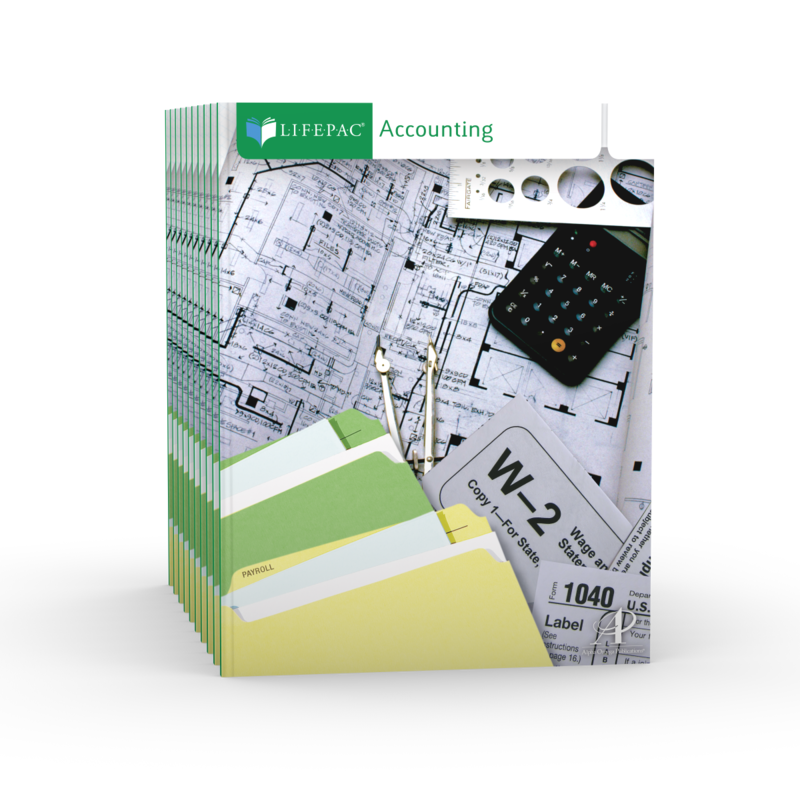 Try the LIFEPAC Accounting Teacher's Guide! This complete, step-by-step guide includes an Alpha Omega curriculum overview, lesson planning, teacher's tips, alternate tests and worksheets, and more. Included are answer keys for lessons and tests in Units 1-10. Does your student know the basics of accounting? If not, the LIFEPAC Accounting Unit 1 Worktext is just what you need! This colorful, consumable Alpha Omega curriculum offers an overview of fundamental accounting terms and concepts, the accounting system, the basics of bookkeeping, and starting a proprietorship. Tests are included. Ready to review accounting with your student? Then get the LIFEPAC Accounting Unit 10 Worktext! This colorful, print-based Alpha Omega curriculum contains a business simulation that applies accounting principles covered in each of the previous units. Great as a refresher, this worktext recovers the entire accounting cycle. Tests are included. Ready to teach your student what journals, balance sheets, and ledgers are? Then get the LIFEPAC Accounting Unit 2 Worktext! This colorful, consumable Alpha Omega curriculum offers your student an in-depth look at the accounting system. Topics include creating a chart of accounts, financial reporting, and opening entries. Tests are included. Is your student ready to analyze and journalize account transactions? Then the LIFEPAC Accounting Unit 3 Worktext is just what you need! This full-color, print-based text covers fundamental account transaction concepts. Topics in this Alpha Omega curriculum include using the T Account, transaction affecting financial statements, and more. Tests are included. Does your homeschool student know how to post to the general ledger? After studying the LIFEPAC Accounting Unit 4 Worktext, he will! This colorful, consumable text gives an in-depth look at ledger accounts, posting procedures, and proving the ledger. Topics in this Alpha Omega curriculum include account balances, trial balances, and more. Tests are included. Teach your homeschooler how to prepare an accounting worksheet with the LIFEPAC Accounting Unit 5 Worktext! This colorful, print-based text gives a clear, step-by-step look at how to prepare six-column and eight-column worksheets. Topics in this Alpha Omega curriculum include worksheet sections, calculating income, and finding errors. Tests are included. Can your student prepare each of the financial statements? After completing the LIFEPAC Accounting Unit 6 Worktext, he will! Colorful and print-based, this Alpha Omega curriculum gives an in-depth look at preparing financial statements—the income statement, the owner's equity statement, and the balance sheet. Tests are included. Ready to teach your child how to create adjusting and closing entries? Then the LIFEPAC Accounting Unit 7 Worktext is just what you need! This consumable, step-by-step Alpha Omega curriculum will help teach your homeschool student how to enter adjusting and closing entries and how to create a post-trial balance. Tests are included. Is your student ready to learn how to maintain payroll records? If so, the LIFEPAC Accounting Unit 8 Worktext is the perfect answer! This print-based, easy-to-follow Alpha Omega curriculum will help teach your homeschooler payroll functions and deductions, calculation of employee earnings, and payroll records and methods. Tests are included. Teach your student the importance of payroll taxes and reports with the LIFEPAC Accounting Unit 9 Worktext! This easy-to-follow, consumable Alpha Omega curriculum covers a wide variety of payroll accounting topics such as analyzing payroll transactions, determining employer payroll taxes, and preparing payroll tax reports. Tests are included. Discover renowned American authors with LIFEPAC American Literature for 7th-12th grade! This fun, consumable course, made for one-semester, covers five diverse periods of American Literature including Early American Literature, the Romantic Period, and the Modern Age. Authors in this Alpha Omega curriculum include Longfellow, Hemingway, and Fitzgerald. Teaching your student American Literature? Don't have time to read all the material? No problem. Get the LIFEPAC American Literature Teacher's Guide! This complete guide includes an Alpha Omega curriculum overview, lesson planning, teacher's tips, alternate tests, and more. Included are answer keys for lessons and tests in Units 1-5. 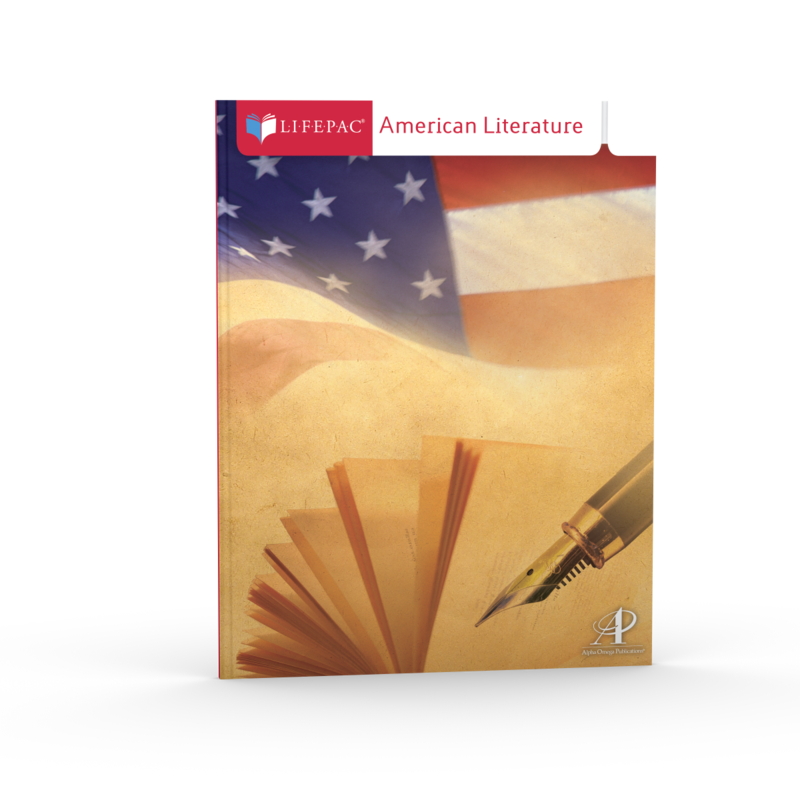 Introduce your student to the beginnings of American literature with the interesting, colorful LIFEPAC American Literature Unit 1 Worktext! This culture-filled, consumable Alpha Omega curriculum offers a look at early American literature periods (1600s-1800s). Periods include the Puritans, the Colonists, and the Revolution. Tests are included. Explore the rich depth of American literature with the colorful, prose-filled LIFEPAC American Literature Unit 2 Worktext! This fun-to-read, consumable Alpha Omega curriculum contains an enriching study of the Romantic Period (1800-1855) in American literature. Periods include a New Nation, the Renaissance, and Poets of Despair. Tests are included.